Christmas day can be fraught with difficulties or it can be enjoyable and fun. Those with IBS and who have found the miracle of the low Fodmap diet have more to prepare for than most. But there is no reason this can’t be a special day for you too. Check out my five top tips for coping with a low Fodmap Christmas Day. It is in your best interest not to make a fuss about what you can and can’t eat or there could be some backlash with you ending up feeling bitter and twisted because your needs are not being taken into account by family members and friends. If your family are supportive, then let them know your main triggers like onion and garlic perhaps and then take the chance that the rest will be fine. Overwhelming them with dietary demands will usually end badly no matter how hard they try. This diet is the most complex one on earth so you can’t expect others to understand it in a five minute conversation. If yours is like our family, then you will be contributing something to the family feast. 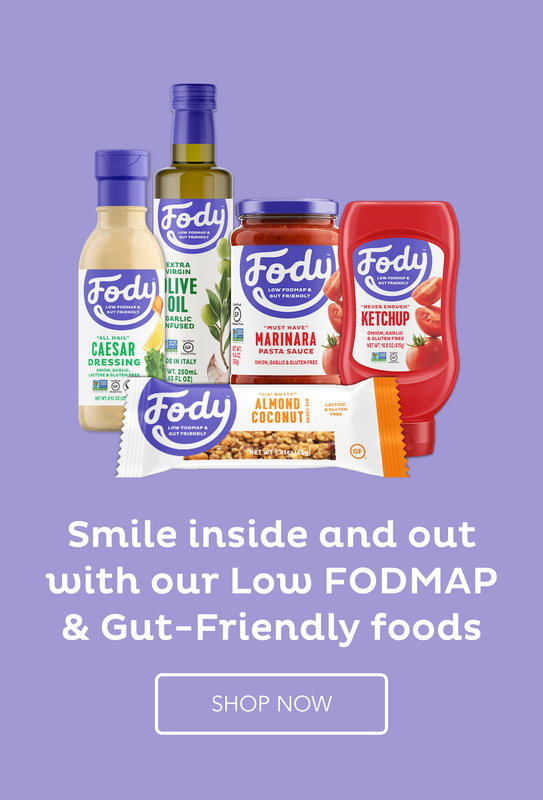 Make sure that is a low Fodmap dish that includes all the food groups so you have something you know you can eat for sure. There are many more on my website. 3. Pre-prepare as much as possible in the previous days so there is no need to rush on the day itself. Have the meal already cooked and in the fridge with the car packed if you are travelling any distance to the event. Clean the house and set the table if Christmas is at your place and prepare as much food as possible. I have Christmas at my house this year and the stuffing will be done, the turkey prepared and ready for the oven so all I have to think about is the roast vegetables on the day. Everything else is brought by other family members. My stuffing and turkey and vegetable preparation will be low Fodmap so I will have plenty to eat. In my case, my family are very supportive of my dietary needs but I never expect them to go to any great lengths to accommodate my IBS because I always get enough to eat anyway. 4. Reduce your anxiety about the day to a minimum or that alone will cause symptoms even if you eat nothing wrong. If you have followed number one and two on this list, you will be organised and there will be no bad feeling going into the day. Remember that everyone is doing the best they can with who they are and try to forgive them their flaws. Start the day with ten minutes of deep breathing to calm down the stress reflex and keep your heartbeat slow and regular and to stop any adrenaline from flowing as if you were ready for a battle. Every hour or so, take a minute to repeat the deep breathing exercise to get your stress levels back down again. No one will even know you are doing it. That’s the beauty of deep breathing – it highly effective and invisible to others. Any time someone says something that is a trigger for you – and families are great at that – take more deep breaths so you can stay in a calm, rational place and respond appropriately. 5. Get plenty of good quality sleep the night before. Eight hours uninterrupted will set you up for a calm, pleasant day. If you are sleep deprived, you will not only feel tired, but your IBS will suffer and your temper will be short. Not a good thing when surrounded by family and friends on what is supposed to be a joyous day of celebration. Count eight hours backwards from when you have to get up and go to bed at that time. Lie down in a dark, quiet room with no possibility of interruptions (probably not possible for parents of little darlings)and don’t get up for any reason except for a brief toilet visit if necessary. Then you will wake up refreshed and in the best condition to face the day. So, sleep, stress-releasing techniques and preparation are the key to an enjoyable day. And remember that having too many unreasonable expectations of others will only end in disappointment. This is about you, not them. It’s always so nice to read your posts, you truly care. I’m not on a low fodmap, but I still appreciate it. Thanks, Marta. Even though you don’t need the diet, you can mention it to others with IBS. It really is a lifesaver. Thank you for the tips Suzanne, It’s helpful have made low fodmap Christmas mince pies this year and they are great. Hope by some miracle to do a pineapple low fodmap Christmas cake . my attempt with glazed fruit was a bit to sweet but it did the job. this year have dried blueberries ,cranberries, pine apple etc so hope it works out. Good to hear from you, Eleanor. Hope you are doing well. All that dried fruit would be an issue for most people with IBS so go easy on it. Have a great Christmas.